Complete with 316 Stainless Steel Tubular ends, Suitable for use in vacuum convey systems, FDA Approved products contact parts. 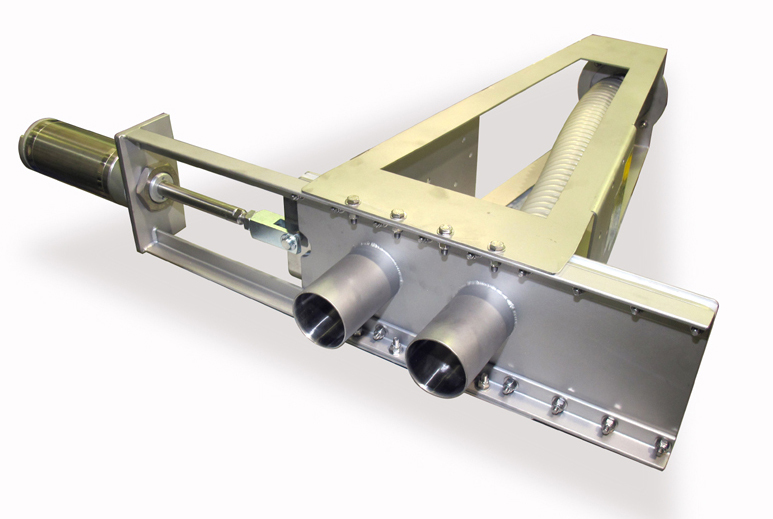 Ideally suited for selecting flow from one to two lines and from two to one line. Slide Plate Diverter Valve is complete solenoid junction box. Also, available in sanitary version with quick release Tri-Clover ferrules and clamps.